Malaysia Cricket Association has become the latest ICC Associate nation to join the PitchVision family. The Malaysia Men’s team compete in the ICC World Cricket League Division 4, and their most recent success came in Southeast Asian Games, where they won the gold medal in the 50-over tournament and the silver medal in the 20-over tournament. 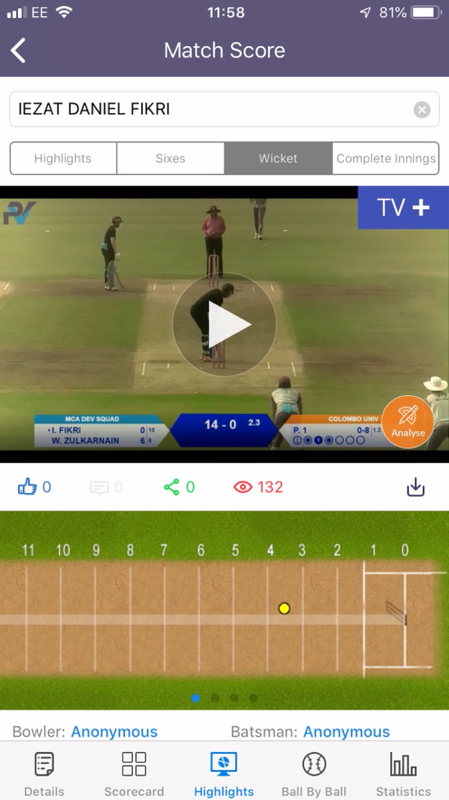 The Malaysian Cricket Association have invested in PV/Match with 2 cameras as a way of capturing highlights to provide important feedback to players and coaches, also live stream fixtures whether playing at home or when on tour. The portal and mobile app has been at the center of the success of the system for Malaysia, as this is where players, coaches, and selectors have been able to log in and view footage from games and training that all of their players have been involved in. Along with this, the coaches have uploaded 3rd party videos of masterclasses from various international stars which have been helpful for players to gain an insight into how the worlds best operate. Recently, the Women’s national team participated in a T20 tournament in Thailand, where the system was used to huge effect. Selectors, coaches, fellow players, and supporters were able to watch the game live, and access the interactive scorecards that are produced to view key moments of the game from boundaries to dismissals. We are proud to be part of Malaysia’s rise as a cricketing nation, and we look forward to continuing to assist them in developing and progressing.